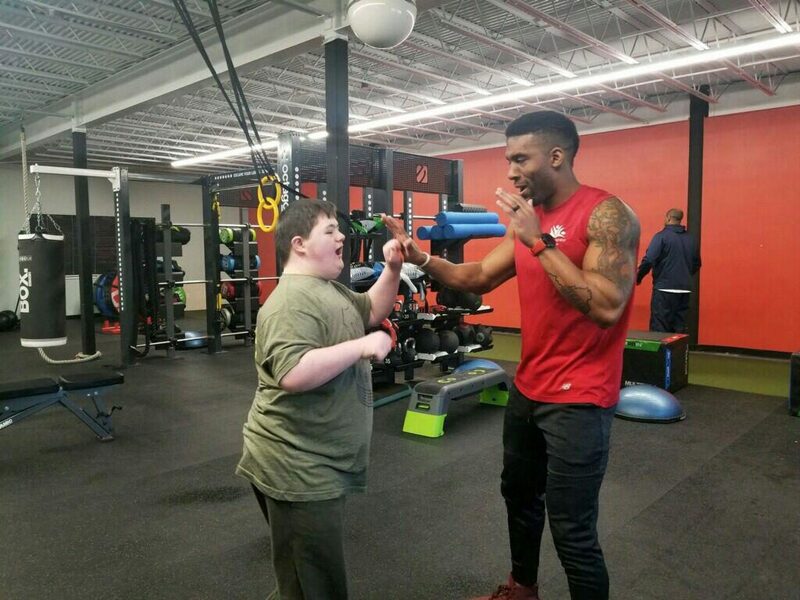 This article about trainer Marcus Haywood and his client Zach at Culpeper Sport & Fitness, part of our CWF family, was published in the Culpeper Times on April 11, 2019. Marcus Haywood has a focus to help as many people as best as he can. A Certified Personal Trainer, Certified Functional Strength Coach and an Exercise Specialist Haywood has a desire to increase fitness opportunities for people with special needs. Having worked at Powell Wellness Center for the past seven years Haywood transitioned to their sister facility, Culpeper Sport and Fitness, within the past year and can be found training there most days. Haywood uses a lot of equipment and body weight for strength movement conditioning including dumbbells, kettle balls, sand bags, resistance bands and tires to name a few. Prior to working at CSF Haywood, 33, often worked with the FitScripts program at PWC. Through FitScripts, a physician referred program that teaches appropriate exercises for people with conditions or limitations, Haywood devised an exercise regimen for two kids affected by Autism. Since then Haywood’s heart has grown for the special needs population. “I have always had the mindset to help as many people as I can,” said Haywood who would like to work with more clients who have special needs. Haywood can be found at Culpeper Sport and Fitness most weekdays where once a week he trains with Zach Fry, a fourteen-year-old with Down Syndrome. “He loves to go to Culpeper Sport and Fitness every Wednesday,” said Fry’s mom Betsy. “Marcus and Zach have gotten in a routine. Zach knows he has to work and get it done,” she said. “There has to be an interest level for them [youth with special needs] to want to do it. There’s a purpose at the end that we’re going to have fun; but we need to work first,” said Haywood who points out that young athletes are his specialty. Two years ago, Fry, in search of a trainer with a strong personality to stay on top of Zach, sought Haywood and put him in contact with Marky Oliver. Oliver, a personal trainer in Florida, started Specialty Fit, an exercise program held two to three times a week, for all ages of people with special needs. He also trains Zach’s friend, Christian, who is the same age and has lost forty pounds. The goal is to keep weight off which Fry says is a struggle for many with Down Syndrome. “Tweaking the diet is the hard part,” said Fry. “With Zach, his metabolism is so low I want to get him out and working out.” This is on par with his goals which Fry said are exercise and maintaining weight without it spiking. “They should have a focus to be active,” said Haywood. “It’s a relationship,” Haywood said recently of his training relationship with Zach. “He pushes and each time he pushes a little more”. Fry is happy with the progress they have made. “Zach is finally starting to grow. His weight has plateaued, and he has gotten stronger,” she said. 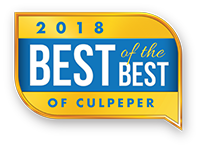 Culpeper Sport and Fitness is located at 19055 Industrial Road and Haywood can be reached at 540.825.0000.